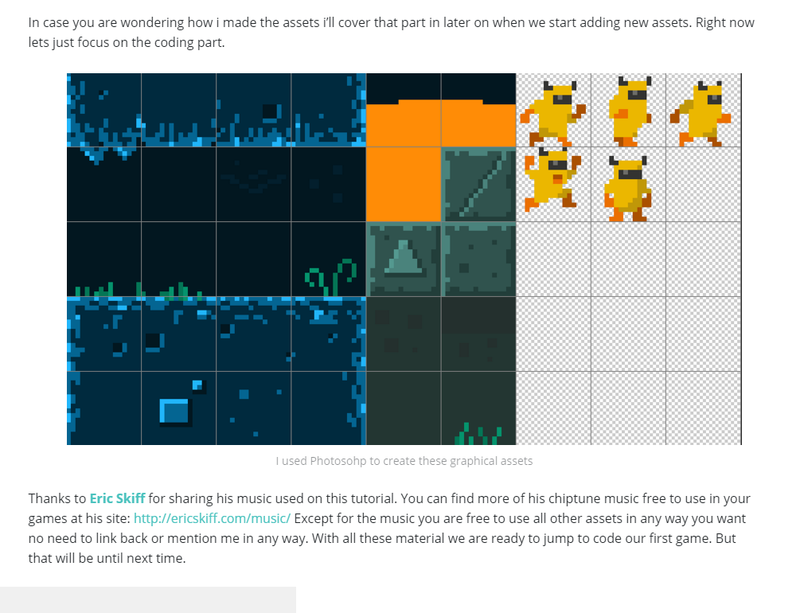 ImpactJS is an impressive engine to use in your HTML5 game development projects. It comes with its own level editor allowing you to create a massive world for your game. Unless you know what you’re doing just reading through its documentation can leave you quite confused with no idea how to implement what you’ve learned. It’s a good thing then that there are people who are willing to write tutorials on the subject on how to bring it all together. 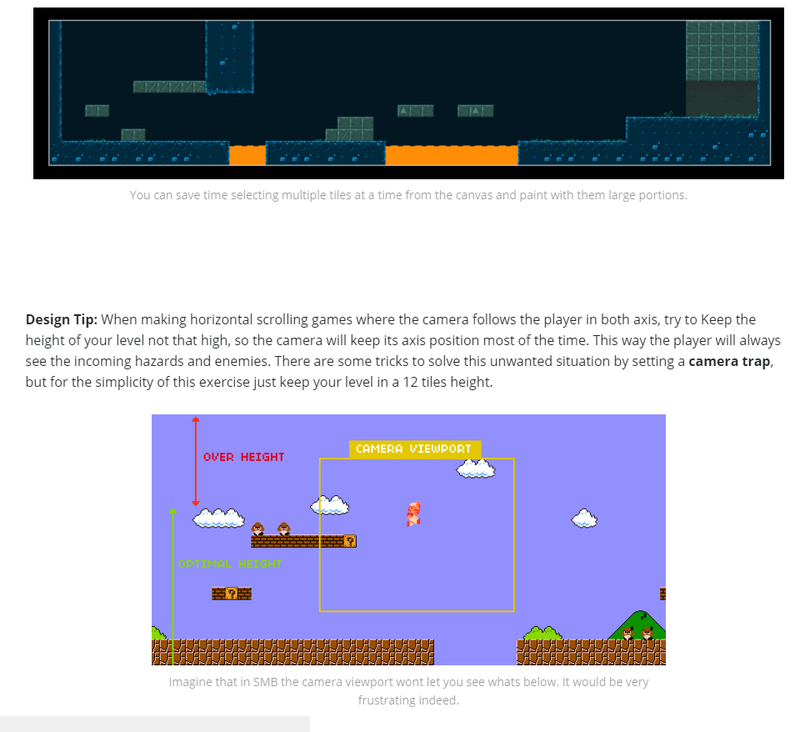 In this tutorial, you create a side scrolling platformer. 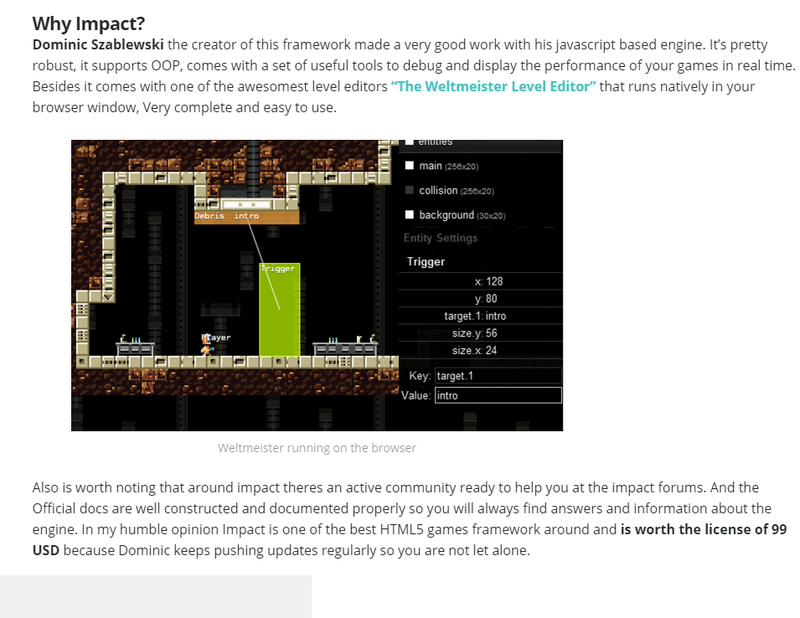 It guides you from setup of Impact through the level editor and into the code behind it. The tutorial is very detailed and you can read it for yourself here.